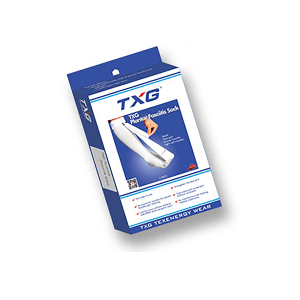 TXG Diabetic Socks have been specially designed to protect people with diabetes from injury, infection and peripheral oedema (swelling) in the feet, ankles and legs by promoting lower-body blood circulation and alleviating discomfort. 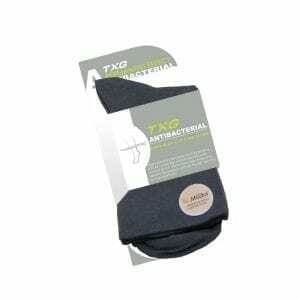 Diabetics also frequently suffer from sensitive skin, and our socks are designed to reduce irritation by eliminating the raised seams found on ordinary socks. The New Zealand government estimates that over 200,000 New Zealanders have been diagnosed with diabetes, with a further 100,000 undiagnosed. This common condition cannot be cured, but with the appropriate care and management, you can live a long and happy life. It’s important to follow the advice of your healthcare provider and to take preventative steps wherever possible to reduce your risk of developing other conditions. Because diabetics are more susceptible to developing blood clots and experiencing nerve damage, the decision to use diabetic socks could save your life. For many diabetic patients, compression socks can help keep feet and legs healthy, helping them to regain and maintain an active lifestyle. However, not all diabetics should wear compression socks, so it’s essential to seek advice from your doctor before placing your order for diabetic compression socks. WHAT RISK DO DIABETICS FACE? As a diabetic there is an underlying strong probability of developing foot ulcers and serious complications like foot infections. Diabetics are also at risk of decreased blood flow to the legs and feet due to this arterial narrowing. This means that cuts and sores heal slower than they should, and left untreated can lead to gangrene and amputation. Long-term nerve damage in these areas is caused by prolonged exposure to high glucose levels, and the resulting loss of sensation means that often, people with diabetes don’t realise they have a wound until it’s become infected. Wearing our diabetic compression socks will help minimise foot injuries, prevent swelling and keep your feet dry and warm.